A live cat is placed in a box. The box has solid walls, so no one outside the box can see into it. Inside the box, a device will move a lever that will release either fatal poison or nourishing food that the cat will ingest; the probability of either occurrence is 50/50. Time passes. The device activates, the lever releases. The cat meets its fate. The cat could be dead … yet we might think it alive and well! Our perception of the cat’s state seems to be independent of the cat’s actual state. And if perception is reality … can there be two realities, simultaneously? This is another reason why change is hard. What? you say? You’re connecting this dead or alive cat to change management John? Yes yes; I will be drawing a change management lesson, soon, but first — what do you believe? Is the cat alive? Or dead? It is alive and dead. This intriguing thought experiment was devised by Austrian physicist Irwin Schrodinger to suggest the nature of quantum mechanics, and the idea that a subatomic particle can be at rest and in motion, simultaneously, but the two states of being collapse into one when we attempt to measure it. In other words, our viewing it changes it. The cat is alive until we open the box, and see, alas: chance has not been kind to the cat; the cat has been poisoned, and is dead. It seems our perception is reality only until we see reality. So our avoidance-strategy-of-choice is to deny that there is any change! 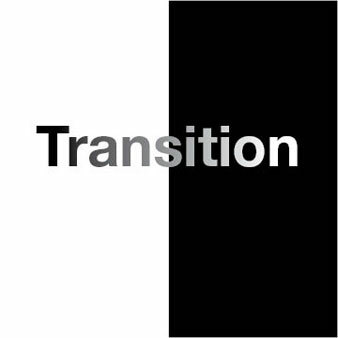 Hence, we preempt the need to transition … because there is no need to transition if there is no perceived change! In other words, we simply refuse to look into the box! We can continue to live and work in a world that no longer exists! We can keep the cat alive by not looking in the box. Or we can keep it dead (for all you cat haters out there!). And the change management lesson is exactly what John? Help people look into the box. One key component of change management is communicating the need for change early and often. It is selling the problem. It is noting the forces and effects that require change. It is articulating the “burning platform.” It is projecting out in compelling fashion what the consequences are if we don’t begin transitioning. It is encouraging people to open the box and see the cat. Idunno, John. You’ve got some pretty good posts on this blog, but this one is clearly the goofiest. A clunker for you Mike? Uh oh … regrets! Only settle for highly effective solutions without compromise. This applies personally as well as in a business setting. Let both sides win. Have you cake and eat it too. Ultimately, what is good for me IS precisely what is good for you. To give is also to receive. It is not a transaction where once you give, then you are able to receive. Giving does not get you credit that can be cashed for reward. No, the act of giving is the reward itself. Giving IS rewarding. Giving IS receiving. Love is selfless, yet produces greater benefits to self than any selfish act. A few of these may be more just counter-intuitive rather than true paradoxes, but the effect on people and organizations is the same–we don’t realize the “both/and” nature of much of life, and it limits our understanding and decision making. In terms of change management, I’ve worked with people who can’t fathom that they could transition and still be relevant, productive, and needed. Their work environment changing is synonymous with the end of their relevance and contribution. They can’t see how they can be successful in the new regime, structure, or with the new system. That’s when the change manager must be able to help people see through the transition to their success on the other side. After all this, I seem to have written BOTH a comment AND a whole different post. Oh well. Such is life. Whoa! I am sitting here with coffee in hand and the remnants of sleep still in my eyes. I love this post, but you just blew my mind with the quantum mechanics analogy.